Located four miles north of the historic southern Utah town of Boulder, Thompson Ranch offers captivating vistas in every direction. 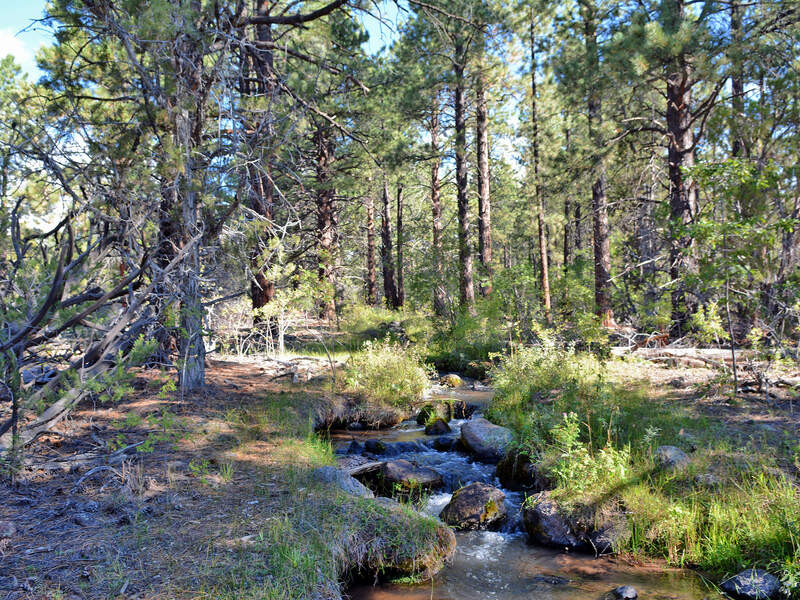 This undisturbed beauty will remain intact as it is bounded on three sides by the immense Dixie National Forest. 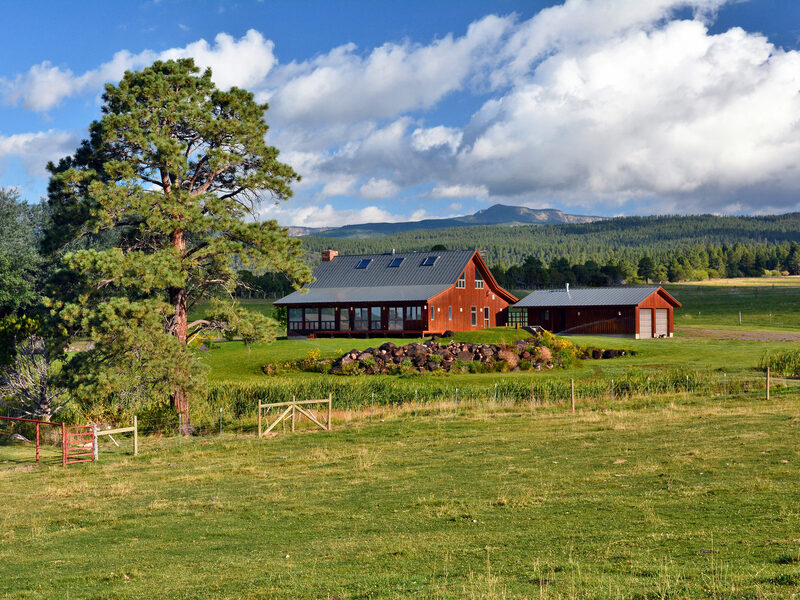 This 165-acre showplace has been carefully improved by the Thompson family who has owned the Ranch since 1988. The landscaping, with underground sprinkler system, surrounding the home and outbuildings is impeccably maintained. The immaculate improvements, including the main residence with a detached guest suite, a guest house, a heated spa building as well as a shop, several sheds and corrals are very well laid out to maximize functionality. The Ranch currently is leased to a local cattleman who runs 110 head of cattle from May 1st through October 1st. Another viable option would be to run the Ranch as a registered cattle operation running about 50 mother cows on a year-round basis. The vast expanse of the 1.9 million-acre Grand Staircase – Escalante National Monument dominates the landscape to the south, and the massive and heavily-forested Aquarius Plateau – the highest plateau in North America – looms large to the north. This unusual land form is completely encompassed by the Dixie National Forest. 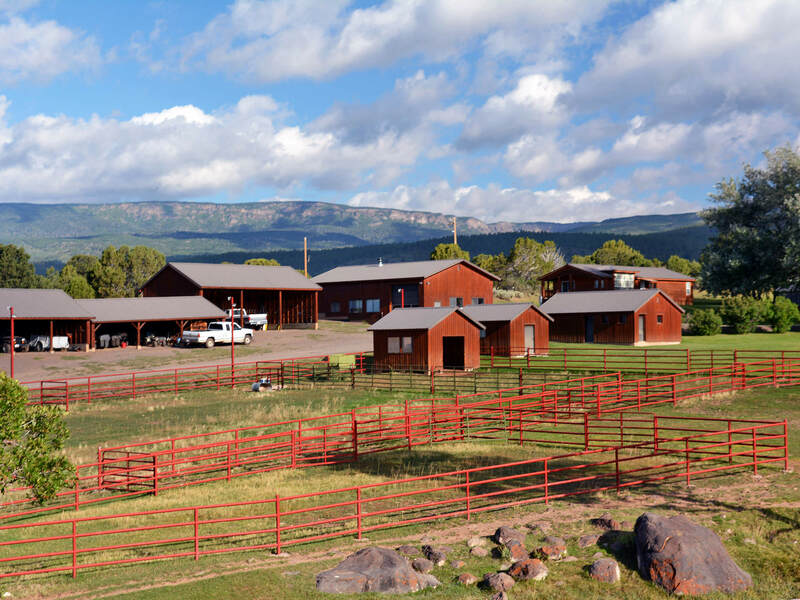 The Ranch is one of a handful of large privately-owned holdings in the immediate Boulder area. 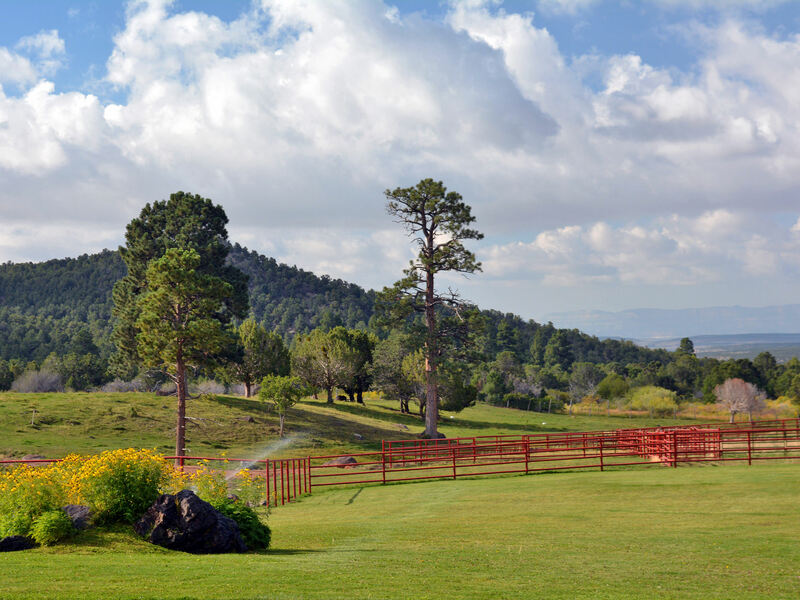 Although the Ranch is uniquely functional as a summer cattle operation, its natural serenity and beauty provides a perfect haven for all who visit this ideal retreat. 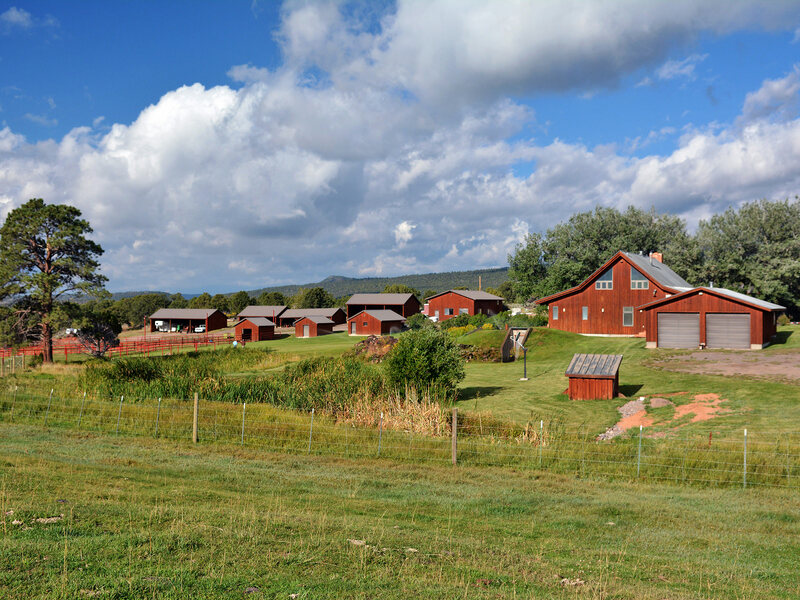 This Utah Ranch is located four miles north of the town of Boulder along Highway 12. The entrance to the Ranch is about a quarter mile long via a hard-surfaced road. 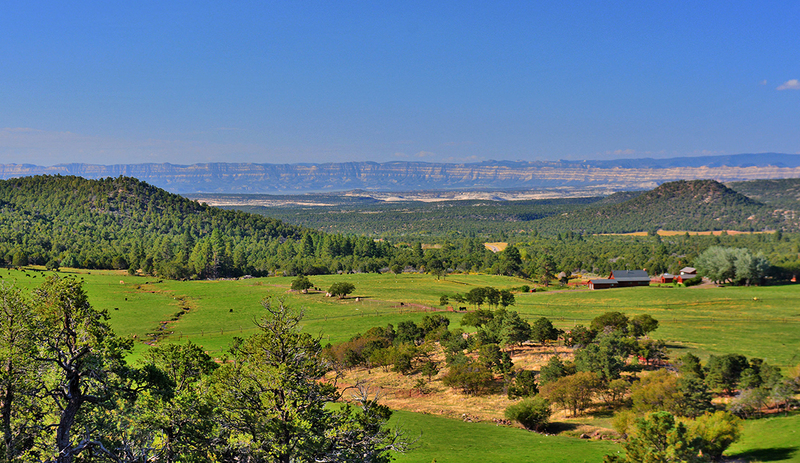 The Ranch is bounded on three sides by Dixie National Forest; the west side fronts Highway 12. 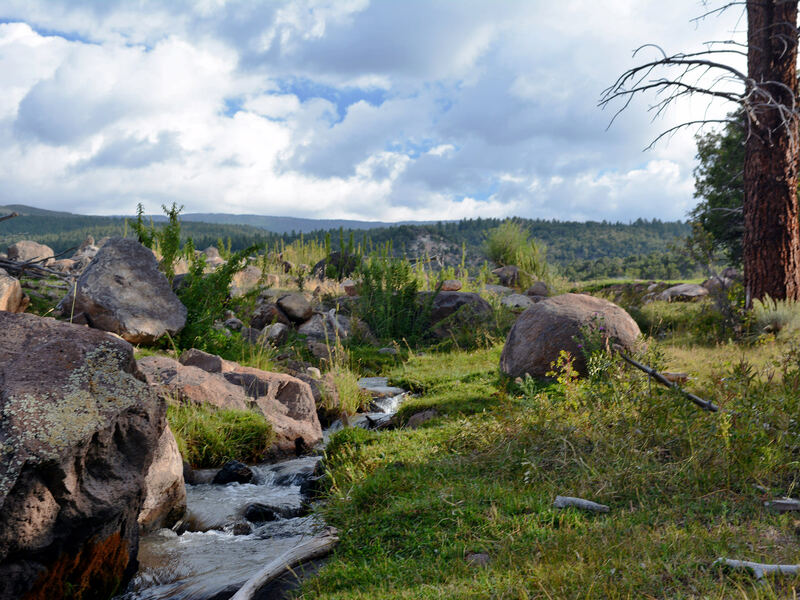 There is no public access to the National Forest through the Ranch. Escalante, Utah, population 850, offers a grocery store, bank, and medical clinic along with several restaurants and motels. Escalante also offers several guide and outfitting businesses that help uninitiated tourists explore the vast number of scenic attractions in the area. There is a paved and lighted landing strip about two miles southwest of Town – 5,200 feet long and 60 feet wide – sitting at an elevation of about 5,740 feet. Panguitch, Utah is the county seat of Garfield County. There is a modern hospital along with a broader array of services one would expect in a town of 1,600 people. Torrey, Utah has a population of about 170 and is a major gateway to Capitol Reef National Park, just eight miles to the east. It has become a popular locale for second homes and offers several motels and restaurants. Climate at the Ranch is four seasons with an average January low of about 21°F and an average July high of 83°F. Average annual precipitation of rainfall is about 11″ with an average of about 46″ of snowfall. The average elevation on the Ranch about 7,600 feet above sea level. During the Middle Ages, 500 years before America was “discovered”, what is now the town of Boulder was perhaps the largest community within the region of what is now called Utah. While the Crusades were dominating European history of that time, the Anasazi culture – the “ancient ones” – had established a permanent community of about 200 on the present site of Boulder. About 800 years later, in 1889, long after the Anasazi mysteriously disappeared, Sam Sheffield homesteaded within a few yards of the long-buried Anasazi village. The attraction of the site was the same for Sam Sheffield, and the few hardy pioneers who followed him, as it had been for the ancient ones. The location lies on the margin between the 11,000-foot high Boulder Mountain portion of the massive Aquarius plateau and the vast redrock wilderness to the south. Both the latter-day pioneers and the Anasazi long before them, cultivated crops in and around Boulder and hunted and summered livestock on the mountain. Ironically, the population of Boulder today is the same as it was 950 years ago – just about 200. For a time, considered the most remote town in the Lower 48, it was the last city in the U.S. to receive mail by mule train and the last area to be mapped. Construction of the famous, sometimes precarious, Hell’s Backbone Road and bridge in 1933 finally made the Community accessible by automobile. Electricity eventually arrived in 1947 after a road was built from Escalante by the Civilian Conservation Corps. Today, Boulder remains remote, but is no longer isolated. Scenic State Highway 12 connects Boulder to Escalante and Bryce Canyon National Park to the southwest and also to Torrey, about 35 miles north over Boulder Mountain. Hell’s Backbone Road is still there – now a designated Scenic Backway. Finally, the renowned 60-mile long Burr Trail connects Boulder with Capital Reef National Park, and Bullfrog Marina on Lake Powell. Presently, Boulder has a post office, elementary school and two gas stations. 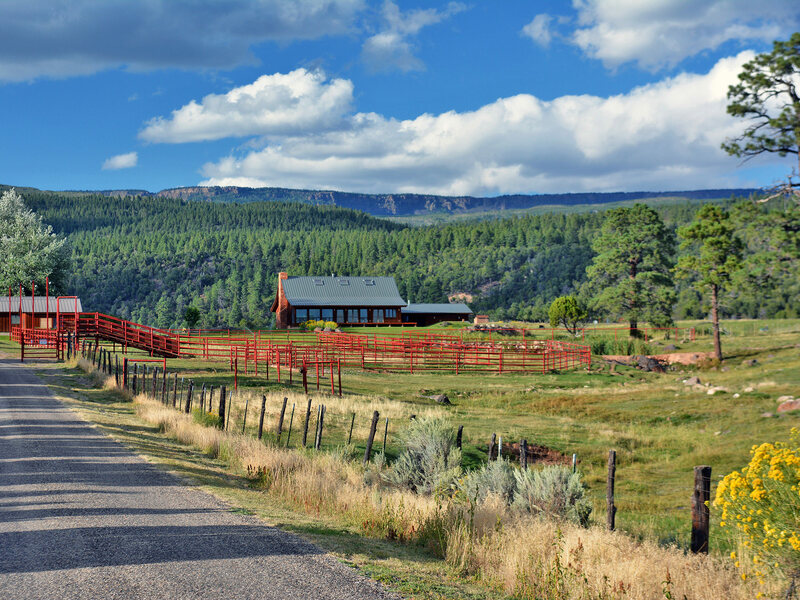 There is limited cell service; however, Boulder now has DSL high speed internet and the Ranch is fully connected. There are two restaurants in town including Zagat-rated Hell’s Backbone Grill offering fine dining – featuring locally produced beef and an extensive wine list. The Grill is associated with the Boulder Mountain Lodge which offers tasteful, upscale accommodations. The six-acre site of the Anasazi village, now a state park, has been partially excavated and includes a fascinating museum operated by the Utah Division of Natural Resources. The 1.9 million acres contained in this vast National Monument are contiguous with Bryce Canyon and Capitol Reef National Parks and the Glen Canyon National Recreational Area, the centerpiece of which is Lake Powell. The Monument can be described in three sections. The landscape on the West Section between the Grand Canyon and Bryce Canyon National Park is marked by a series of south-facing escarpments or cliffs between 1,600 and 3,000 feet high. Moving north from the Grand Canyon, this series of escarpments, separated by sweeping plateaus, resemble a series of Olympian “steps” representing 1.9 billion years of geologic time. As one travels north from the Grand Canyon in Arizona, each “step” represents a more recent period ending in the fascinating 65-million year-old rock formations of Bryce Canyon National Park. The Kaiparowits Plateau dominates the Middle Section of the Monument. This massive plateau encompasses about 1,000 square miles – the size of Rhode Island – and rises in elevation from about 2,000 feet on the southern end to about 7,000 feet on the northern end. 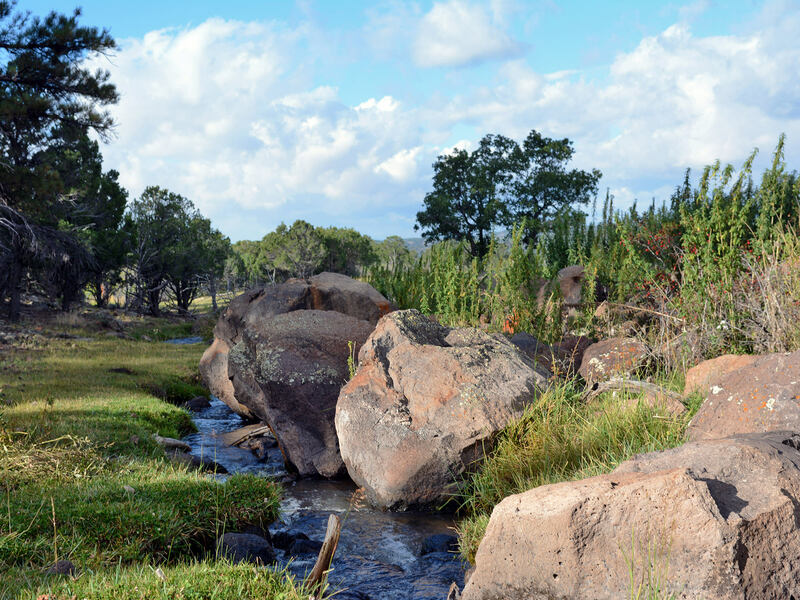 This continuous incline of the Plateau has given the small amount of water flowing through it immense power to sculpt mesas, canyons and other spectacular geological features. Looking beyond the geologic beauty of the Plateau, it is a virtual treasure trove of fossils. The sedimentary rocks of the Kaiparowits Plateau contain the best, most continuous fossil record of the Cretaceous Period, which lasted from 135 to 65 million years ago and marked the end of the age of dinosaurs. The East Section is comprised of the Escalante River drainage with its hundreds of miles of canyons and countless small tributaries. This part of the Monument is adjacent to the towns of Boulder and Escalante. The Escalante region was the last area in the United States to be mapped; many of its rarely-explored canyons have never been named. This modern, tasteful home was built in 1990. The spacious, comfortable house contains one bedroom, one bath and a loft. The master suite is conveniently located on the main floor with French doors opening onto a deck. The large open living, dining and kitchen area has a vaulted ceiling and plentiful windows with reflective glass letting in natural light. The home has radiant-floor heating, gas-forced air and a wood stove in the living area as an additional heat source. A detached two-car garage also houses an additional guest room and bathroom. This modern manufactured home has three bedrooms, two baths and an open kitchen-dining-living area. The covered front porch offers a relaxing spot to enjoy the views. The home is heated with propane. This spa building, which encloses a large six-person hot tub, has a full bank of windows providing exceptional views to the south of the desert vistas. The building, which is heated by a propane furnace, has varnished wood benches and pea-gravel flooring. The shop building includes several workbenches, a full kitchen, laundry, bathroom with shower and large storeroom in about 1,500 square feet. There is also an upstairs office area of about 400 square feet. A beautiful well-designed set of painted welded-pipe corrals are conveniently located for efficient handling of livestock. Three small outbuildings serve as a tool storage, tank storage, loafing shed and irrigation-parts storage. Four equipment shelters provide ample space for trucks, trailers and other equipment. 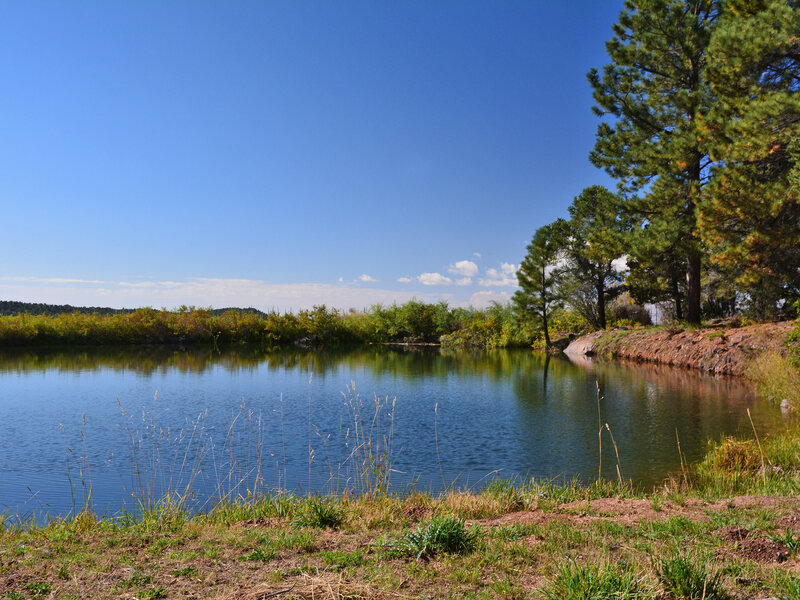 The ranch reservoir provides water under gravity pressure to underground pipes and risers for wheel-line sprinklers, hand lines and some flood irrigation. In addition, two underground lines from the reservoir are connected to two fire hydrants located near the improvements. Property taxes are projected to be $4,320.00 for 2015. Electrical services are provided by Garkane Power. Telephone and Internet service is through South Central Communications. Cell coverage via Verizon Wireless is available in some areas on the Ranch. A spring-fed well provides domestic water. Propane gas supplied by Blackburns Propane in Bicknell is utilized for cooking and heating. A large modern septic system serves the homes and the shop. The Ranch includes 88.52 Class A shares of Boulder Irrigation & Water Development Company water stock. The Ranch also owns 18.06 Class B shares in the Company for high water only. In the best run-off years, this equates to about two weeks of early water. Irrigation water is delivered to a reservoir located on the northwest corner of the Ranch via a ditch from a reservoir located at the hydroelectric plant about a mile away. 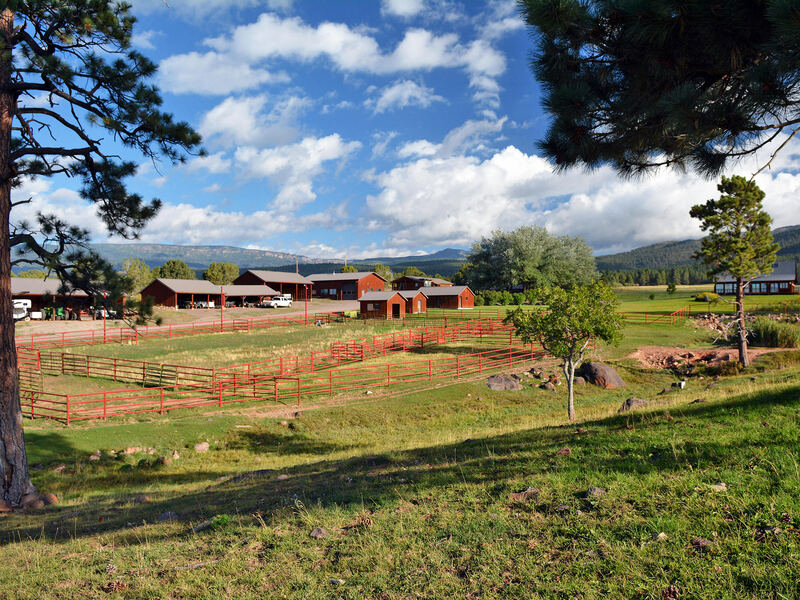 It is the Seller’s intent to convey the Ranch without reservation. It does appear, however, that all mineral rights have been previously reserved. 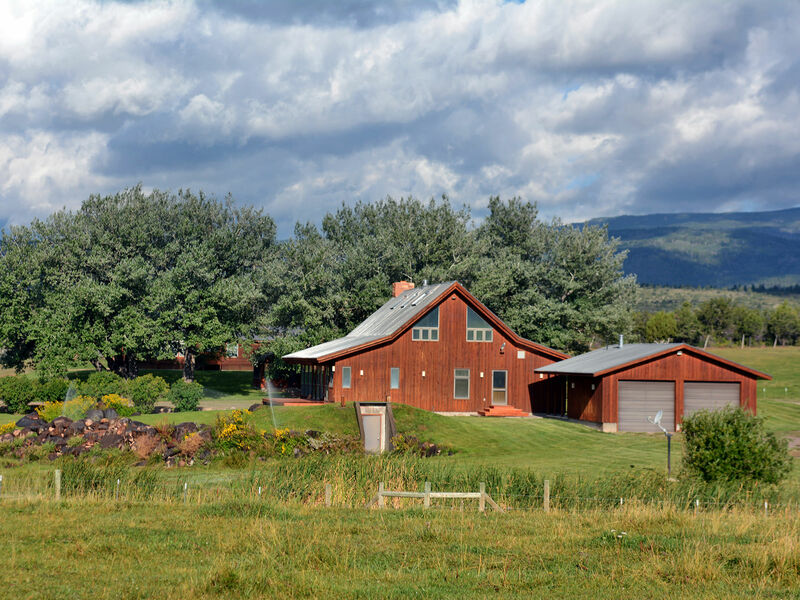 The Ranch is zoned agricultural by the Town of Boulder and the minimum lot size is five acres which must meet county standards for frontages and septic tank percolation. All of the water rights appurtenant to the Ranch and all irrigation water will be transferred to the Buyer at Closing. The Seller reserves the right to effect a tax-deferred exchange for other real property in accordance with provisions in Section 1031 of the Internal Revenue Code. This will be done at no cost or liability to the Buyer. This entire Offering is subject to errors, omissions, prior sale, change or withdrawal without notice and approval of purchase by the Seller. Information regarding land classifications, acreages, carrying capacities, crop yields, potential profits, etc., is intended only as a general guideline and has been obtained from sources deemed reliable; however, accuracy is not warranted or guaranteed by the Seller or Swan Land Company. Prospective Buyers should verify all information to their sole and complete satisfaction.